The information provided is based on up to date scientific research to the best of my knowledge. This article will be followed by a more succinct version for a quicker recap. I have attached several Graphics and Articles, so click the Highlighted Words for a better understanding. d mind.1 However many of us suffer setbacks in our chase for the Runner’s High. Each year, injury affects up to 50% of runners 2, the majority of which are from overuse, with the knee being the most affected.3 Contrary to this, Running is Not Bad for your Knees. Pain can be an uncomfortable setback, but should be seen as motivation to address the issue early so we can return to enjoying our running pain free. 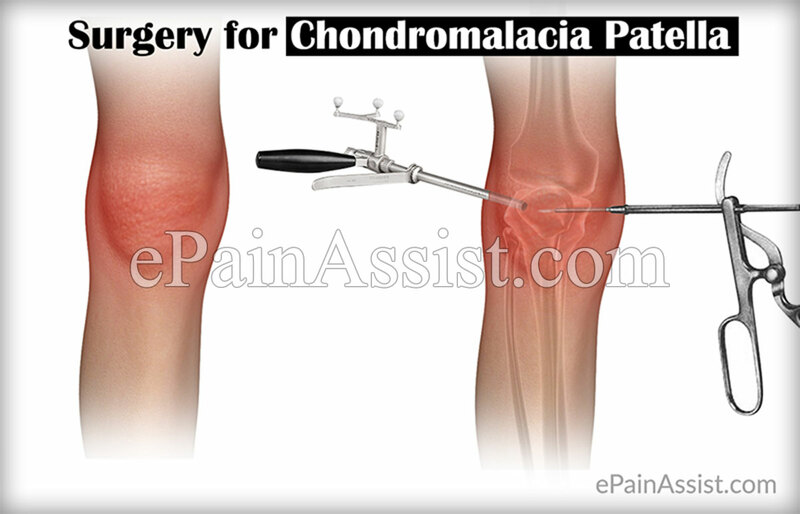 A.K.A: Patellofemoral Pain Syndrome (PFPS from here on), Anterior Knee Pain. PFPS is characterised by pain felt around the knee area, worsened by repeated use. The pain may begin quite mild but can progress to affect your daily activities. Despite the name, Runner’s Knee can affect a variety of athlete types. PFPS is not related to a specific injury, rather it is a group of symptoms resulting from several possible causes. Due to this, no single Surgical or Rehabilitation Protocol will be effective for everyone. It is important to understand that Pain itself is not the problem, but an indicator that there is a problem. Treat the Cause, Not just the Symptoms. The history of PFPS is muddled with a multitude of possible theories, causes and treatments. Throughout the years these theories have been re-investigated and revised to further help identify significant and insignificant factors, some of which will be discussed here. One author investigated the pain response of his own knee by inserting an arthroscopic needle into the joint to stimulate various tissues without analgesia. He then rated his level of pain sensitivity and attempted to identify the location of the stimulation.6 What he found was that the surrounding soft tissues had the greatest sensitivity and were most accurately localised. Other structures had a much lower sensitivity and were poorly localised. Most interesting was that the Patellar Cartilage showed no pain sensitivity, even though Chondromalacia Patella was present. Other research suggest that the nerves themselves may be the pain generating tissues, becoming enlarged 7 and increased in number 8. This may be due to ongoing stresses on the knee due to poor Biomechanics or Muscular Imbalances. 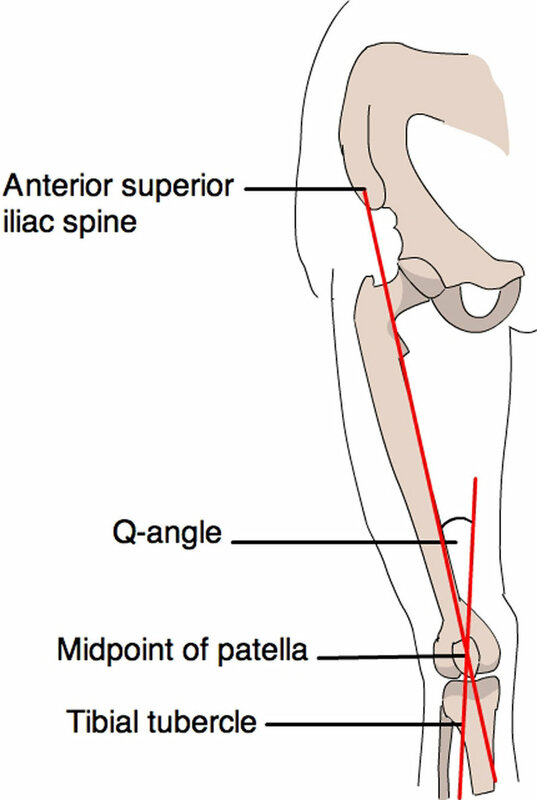 Other: An increased Hip-to-Knee Angle 15 (Q-angle) and Leg Length Differences 16 have been shown to be less than significant. Structural changes are common in healthy knees, and should not be blamed as a source of pain. Pain can be present with or without changes, and changes can be present with or without pain. Inappropriate Scans can prolong pain due to developing ‘Thought Viruses’. 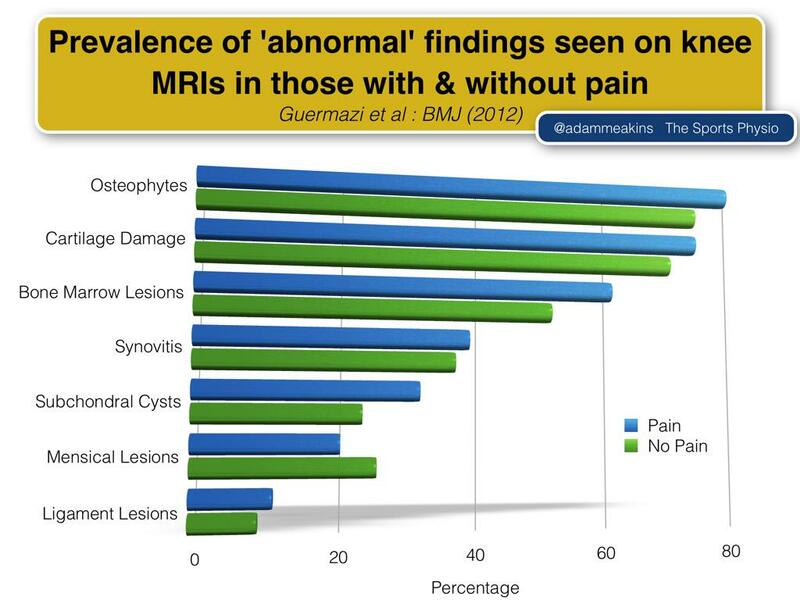 Pain is a poor indicator of tissue damage and location of the problem. Surgery is not indicated and is not an appropriate treatment option for PFPS. Patella tracking and position ‘abnormalities’ are common and normal. 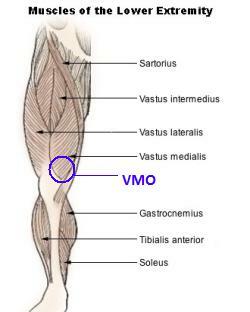 It is not possible or necessary to isolate the VMO in order to improve pain.